Contrary to the ordinary stationary bike, this bike is very quiet because it has no chain or band. Therefore, it allows the child to pedal without disrupting the other students in the class. 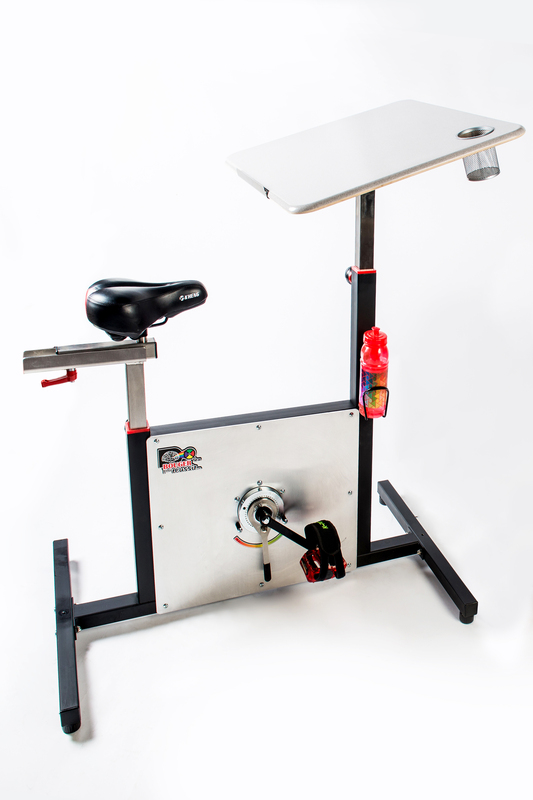 The users can select a level of tension for the gear mechanism which will allow them to pedal without creating muscular fatigue. 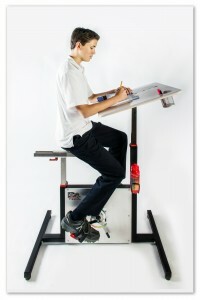 A built-in inclined desk space will allow the student to pedal and to work comfortably. A comfortable and adjustable seat. Self-leveling legs allow better stability. A bottle holder is easily accessible for hydration (bottle not included). 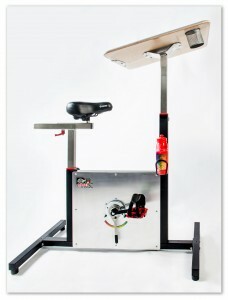 This bike-desk has been designed by a technical team and teachers who understand the needs of children. The seat adjusts in height and can move forward or backward. The table goes up or down. 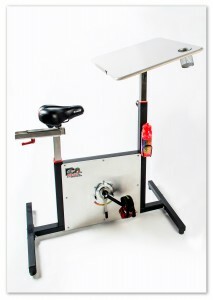 The Bike-Desk adjusts for different sizes. This bike is designed for those 6 years and older and taller than 1.3 meters (4 feet). 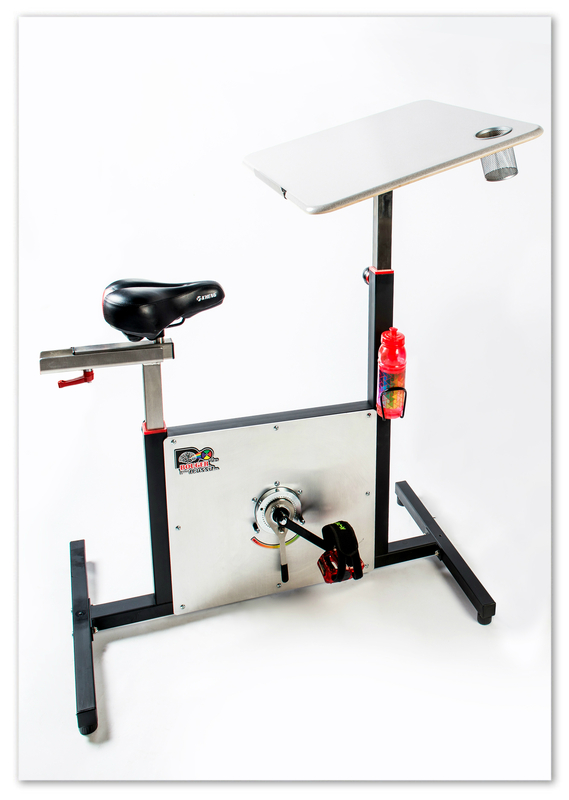 The Bike-Desk is manufactured with pride in Canada and is of superior quality.